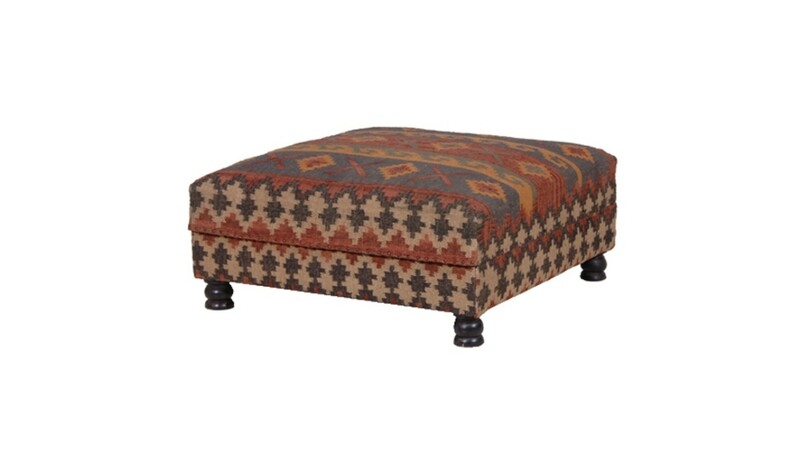 If you’re looking for a stylish piece of occasional furniture just right for resting your feet at the end of a long day, then check out our gorgeous collection of versatile footstools and ottomans. From the classic to the contemporary, the striking to the subtle, there is something in our exciting collection to suit every taste. Check out some of our favourite items detailed below before browsing the full range! One of the finest jewels in the Russkell Furniture crown, this piece of luxury furniture is designed to make an impression. Its large size combined with a height of just 28cm gives it a truly inviting appeal and means it can be comfortably enjoyed by up to four people, if you're keen on getting cosy! This item is part of our made-to-order range and can be expertly upholstered in any of our stunning fabric or leather choices. New to Russkell Furniture and already extremely popular, this cute and comfy pouffe is purely contemporary, emblazoned with a bright and colourful Aztec-style design. This gorgeous little piece will bring a vibrancy to any space, as well as providing the perfect occasional perching place or footrest. A real trendsetter! To create this unique design, squares of the finest velvet have been selected for their quality, colour and texture. These have then been embroidered strongly together to form the upholstery material, which has been attached and held in place using classically-elegant studs of a golden hue. 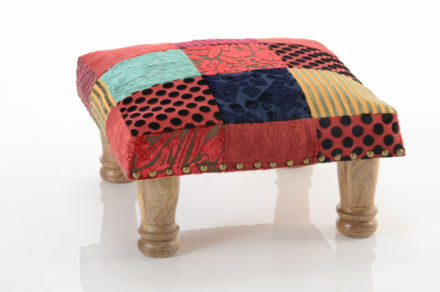 Bold and charming, this footstool is at once classy and kitsch. The term 'kilim' refers to a method of weaving in which the weft and warp strands are very tightly interwoven, producing a notably flat and tactile surface without a pile. 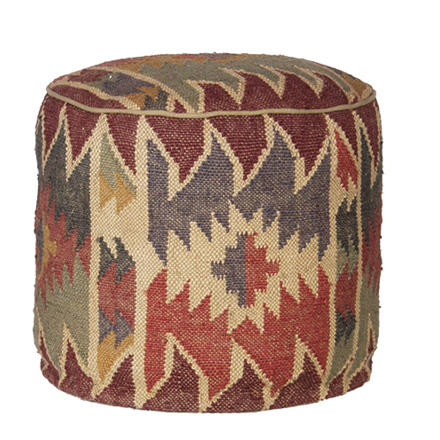 Our kilim ottoman is of a generous size and, standing atop dark wooden legs, is bang on trend in both its shape and upholstery design. This is truly a luxurious piece of furniture. Please enjoy browsing our unique and diverse collection of luxury footstools and ottomans. For more information on these or our made-to-order furniture, please call our customer service team on 01254 773232 or email us at info@russkellfurniture.co.uk.